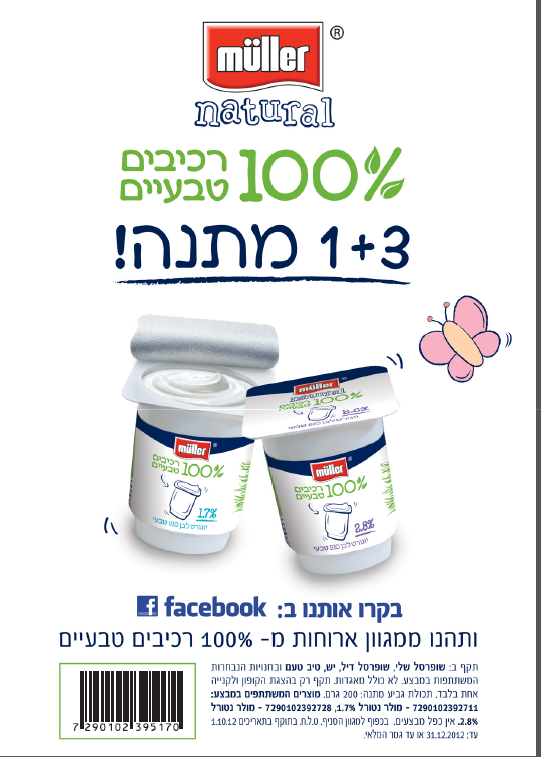 Muller Yogurt has a new coupon available! Just like their Facebook page and you'll find a coupon there for Buy 3, Get one free. Coupon is valid thru the end of December. 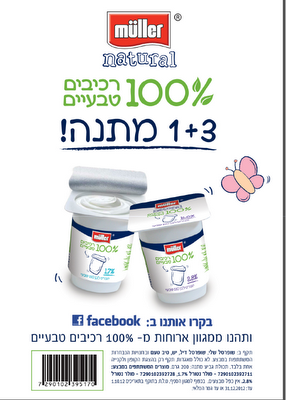 Coupon is redeemable at Shufersal Sheli, Shufersal Deal, Yesh, Tiv Ta'am, and "select other stores".